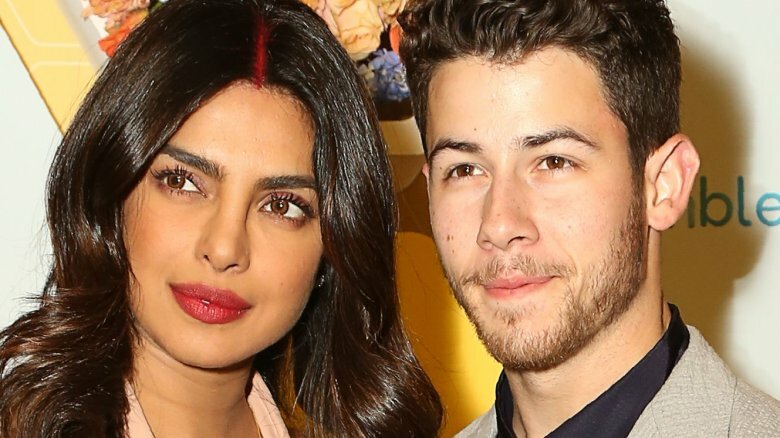 Former Quantico star Priyanka Chopra opened up to Jimmy Fallon about her decision to take husband and singer Nick Jonas' last name. On Tuesday, Feb. 5, 2019, Chopra appeared as a guest on The Tonight Show, and she discussed her love life with Jonas, whom she married in early December 2018. Regarding Fallon introducing her as "Priyanka Chopra Jonas," the actress shared, "I didn't realize it was that much of a big deal until I did it." When asked if she'd ever considered not taking the former Disney Channel star's last name, Chopra said, "I always wanted to add his name to mine because I feel like we're becoming family and I'm a little traditional and old-school like that." She added, "But I don't take away my identity. He gets added to who I am." During her interview, Chopra also revealed that she'd initially wanted to have a private marriage ceremony on an island, rather than tie the knot in India. After getting frustrated over the "logistics" of how they'd manage to gather all of their loved ones for a destination wedding, Chopra said that Jonas asked, "Why aren't we doing this in India? Shouldn't I be taking my bride from her home?" And, well, just like that, Jonas convinced his lady love to have their wedding in India. Chopra, 36, and Jonas, 26, first said, "I do," in a Christian ceremony that was officiated by Jonas' father, before marrying in a Hindu ceremony the next day, as reported by Vogue. Leading up to their wedding, Chopra and Jonas celebrated their love with a number of ceremonies, including a sangeet. Joking to Vogue magazine, Chopra said, "People will need vacations after this wedding." The celebrity couple later took a mini-vacation to Oman after their wedding, before later going on a longer honeymoon in the Caribbean, as noted by Elle.